The 2016 ‘Missing Middle’ Design Competition was an initiative of the Government Architect NSW in collaboration with the NSW Department of Planning and Environment aimed to engage the built environment industry in design-led planning. 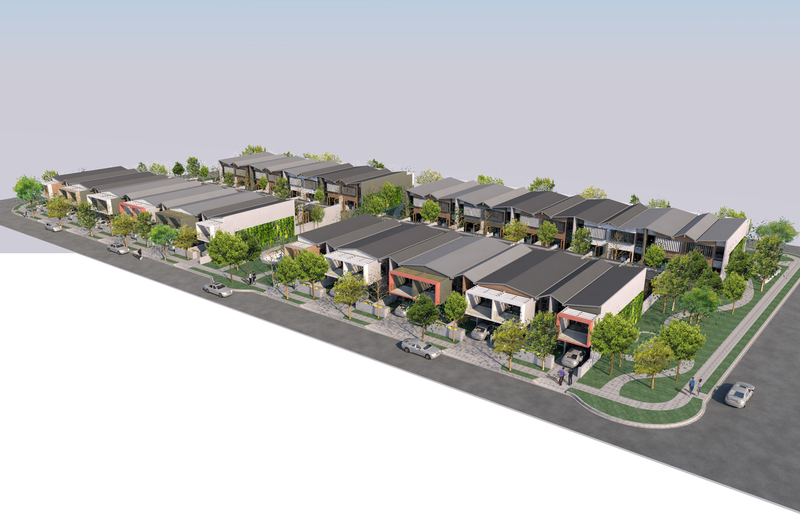 This initiative intended to leverage industry expertise and test design standards for low-rise medium density housing types which would become eligible for a fast-tracked development assessment process, known as Complying Development. Multigenerational housing that meets the needs for access, quality and affordability are essential criteria that are regularly overlooked unless they are legislated into planning instruments. The primary framework adopted for the design of each terrace house is that they should have the capacity to be; affordable, accessible, sustainable, modular, prefabricated, adaptable.